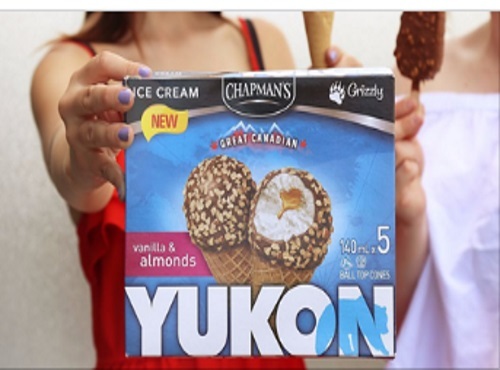 Chapman's Yukon Big Photo Contest is here! Enter for a chance to win an adventure-filled trip to the Yukon! Plus 10 prizes of Free Ice Cream for a year, 10 Chapman's prize packs or 129 $4 off coupon vouchers! Grab a Yukon bar, cone or sandwich, and show us how you’re celebrating! Combine your Canadian pride and your love for their Yukon family of products in the perfect photo. Then share it using the hasthtag #CANADABIG or submit it by completing the from below for a chance to win! Contest closes July 31 2017.